Lock in a great price for Grand Hotel Villa Serbelloni – rated 9.1 by recent guests! Beautiful & elegant hotel is a dreamlike location. The service was outstanding! The hotel was exquisite. The service was exceptional. The location was fabulous. The scenery was beautiful. The staff was very Professional, courteous and in impeccable uniforms. when we first got there the view was breath taking and the service to match. The food at the restaurant was awesome and fine dining was very nicely done. Def a place I would take my family there again ! for a much longer stay next time! 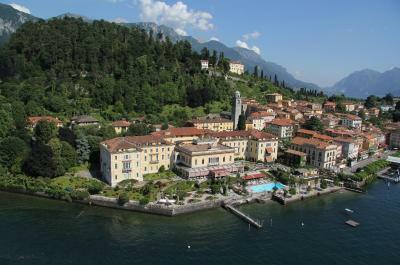 In the touristy, hubbub of beautiful Bellagio, this hotel provides an oasis of exclusivity and peace. It has its own pool overlooking the lake, three restaurants, a spa and a garage for the car. The location is outstanding, so peaceful , no traffic, situated right on the lake. Service very attentive and courteous. Breakfast setting is superb. Bed linen great quality. 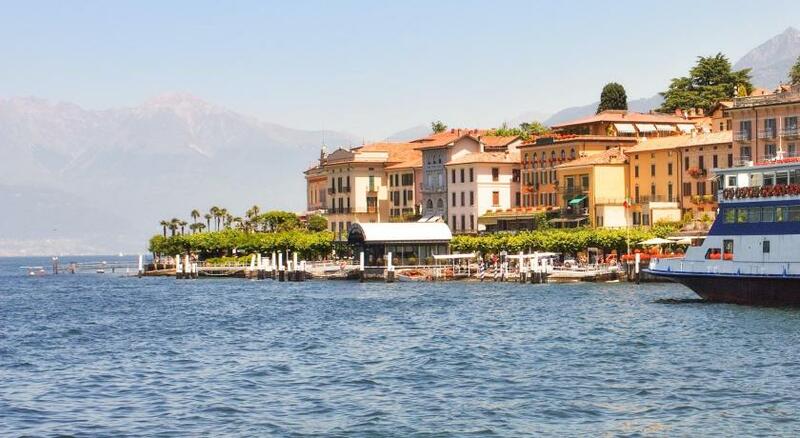 An excellent hotel for luxury, relaxing with superb access to what is the beautiful town of Bellagio with its superb restaurants, cafes and boutique shops. You have everything you need here. Wonderful location and wonderful service! Great facility! Friendly and courteous staff. Breakfast had a large selection and was delicious. The room is very clean with nice decoration and good space , location was perfect with a ver nice garden and view. 5-star facility with a price tag to match. Location was awesome. We had a balcony so the views of the lake were great. The room was large and elegant. Grand Hotel Villa Serbelloni This rating is a reflection of how the property compares to the industry standard when it comes to price, facilities and services available. It's based on a self-evaluation by the property. Use this rating to help choose your stay! Owned by the Bucher family for 3 generations, Villa Serbelloni stands at the end of the Bellagio promontory, with views of Lake Como and the Alps. It features 2 gardens, indoor and outdoor swimming pools, and a spa with beauty center. Grand Hotel Villa Serbelloni was transformed into a luxury 5-star hotel in 1873. The property boasts impressive staircases and fresco ceilings. The grand hall, the Salone Reale, features splendid chandeliers in Murano glass. The Mistral Restaurant was awarded with a Michelin star in 2005, and offers the chance to eat by the pool, or in a refined dining room. La Goletta serves regional specialties in an informal setting. A full English breakfast is served daily. The spa is available for wellness and beauty treatments. 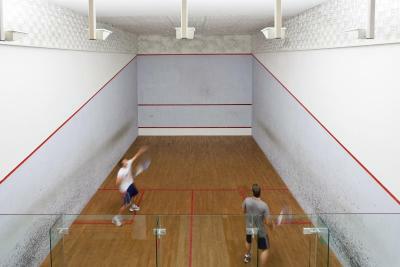 Sports facilities include tennis and racquetball courts, and a gym with cardio-fitness machines. This property also has one of the top-rated locations in Bellagio! Guests are happier about it compared to other properties in the area. When would you like to stay at Grand Hotel Villa Serbelloni? Classically decorated room with views of the park. Large room with views of Lake Como. Spacious room with separate living room, or spacious open-plan room with separate sitting area. Offers a view of Lake Como. Luxurious lake-view room offering a spacious bedroom and a separate living room. This room includes a EUR 100 voucher to be used at one of the hotel's restaurants, a welcome basket of fruit and entrance to the gardens of Villa Serbelloni and Villa Melzi. Classic-style room with a private bathroom with lake views and air conditioning. This triple room features a seating area, cable TV and mini-bar. House Rules Grand Hotel Villa Serbelloni takes special requests – add in the next step! Grand Hotel Villa Serbelloni accepts these cards and reserves the right to temporarily hold an amount prior to arrival. Some furnishings are definitely looking tired, particularly in the lounge, and the kitschy live music kept us out of there as well. Lovely grand old hotel in a perfect location. Top notch service from the warm and welcoming staff. Loved that the whole hotel was dog-friendly! The staff and facilities were superb. Our concierge was very helpful and courteous. Our room was wonderful. The talented musicians played for several hours in the salon. The banquet hall was palatial and served a beautiful breakfast. Breakfast room was insufficient for the number of guests (even in April) and almost everybody seemed a little stiff, like they needed to follow some training/protocols by the book, which made things a little unnatural. We couldn't pick eggs on our own for breakfast (they would serve us whatever they thought was enough for some reason) and yet it was not easy to ask for coffee (presumably because they had the staff serving eggs and stuff). I had some issues with reservations. Superb service and a stunning property. Everything. We ate in the Mistral restaurant. On arrival at the restaurant they asked where our dog was, they even had a bowl of water there waiting for her. As we are not usually allowed to talk dogs into such top class restaurants we had left her in the room. The food was exceptional. for the amount of money spent we had to buy our own bottle of water from the Hotel for 5.5 euros. How cheap is that!!!! We were upgraded on arrival to a suite - absolutely wonderful. Staff are lovely, location is unbelievable. Hotel itself is quite simply perfect. Gorgeous grounds, pool, dining etc. Cannot fault in any respect. The pillows were weird sized (one square, one normal) and really flat. The restaurant mistral is way, way overpriced, 40-50 euro vegetarian pasta and 70-80 euro fish or meat mains. Even villa deste’s jacket and tie veranda restaurant is 40-50 mains. The gardens, pool, bar with live music, breakfast dining room, lake views etc. were all amazing. We were a bit worried about how old the room looked from the photos but actually needn’t have worried, the bathroom is renovated and modern and the decor is obviously old school but the super high ceilings make it feel really grand. Location is superb, just few meters from the main ferry stop. Good restaurants, great facilities, amazing view!